I heard a wide range of music in my early years, from Beethoven to Louis Armstrong to Pete Seeger; but there was always a place in my heart for a well crafted pop tune. 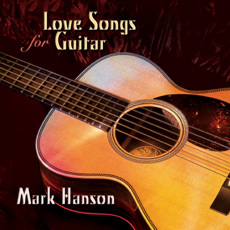 With this collection I have included well-known popular songs that share the enduring human theme of love. The approach to love can be from different perspectives: ranging from the deep rapture of "I Only Have Eyes for You" to the belligerent posturing of "Breakdown". Since all the songs are presented in fingerstyle instrumental settings - no lyrics - the feeling needs to come through in the music only. These tunes succeed. It has been a pleasure to arrange and record them, and they are all fun to play. I hope you enjoy them as much as I do! From the very start with his version of Something, Hanson treats us to a full, rich sound that perfectly complements his impressive arrangement. His command of tone colour shows up in the beautiful shift of tone for the 'instrumental' of the song. Then there are the sparkling harmonics that set off the final verse. Fine yet unobtrusive playing at its best. Don't Know Why captures all of the lassitude of the original by Norah Jones, but with an underlying pulse that keeps it moving gently forward. Subtle variations keep things interesting, and lead up to a very fine ending. For a change of pace, we next get a swinging version of Isn't She Lovely that carries the verve of Stevie Wonder's original. 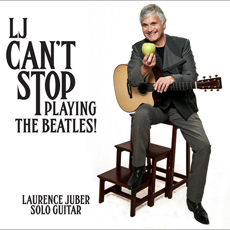 Once again we have a full, rich guitar tone that signals a great job recording this CD, and pays tribute to the production talents of Mark Hanson and James Jensen. Another rich ballad follows: Best of My Love. In keeping with the aesthetic of this CD, Hanson does not overplay this song, as some others have been known to do. I have always found the original version just a bit too long for its melodic power, but we can hardly criticize Mark Hanson for giving us too much music by keeping to its original dimensions. 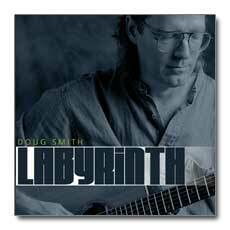 All of the music is there from the slightly sultry strumming to the lush harmonies. Then there is Hanson's superb version of Wonderful Tonight. 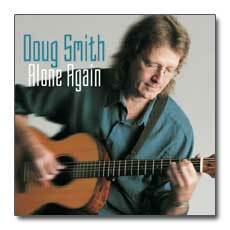 This song sounds great on solo guitar, especially played as sensitively as it is here. Hanson really frames the melody wonderfully, and his verse in harmonics gives a great contrast which suits the song perfectly. Eric Clapton would be proud to play this version. With Breakdown, love gets funky. What a great change of pace this song is! The hook gets into your brain and you just have to surrender and enjoy it. Fun stuff. It's Only Love might seem an odd choice from Lennon and McCartney, but not after you have heard this version. With the pared down accompaniment the beauty of this melody really stands out. Yes it is a love song, and I look forward to listening to this version again and again. I Only Have Eyes For You continues on its unhurried way, again with the full-bodied tone that we luxuriate in for this whole CD. 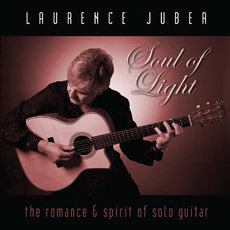 The combination of tone and great songs makes this a perfect CD for a romantic evening. Hanson gets out his jazz-funk chops for an upbeat run-through of Mercy, Mercy, Mercy. Great fun that won't spoil the mood, but changes up the pace just right. What a Wonderful World is played with a deliciously light, deft touch that somehow coaxes a very full tone from the guitar. This sets off the melody with an airy feel while the accompaniment supplies an earnest conviction that is quite moving. Well done! Crazy is anything but, floating logically along with a twinkle in its step. Again Hanson is able to get at the essential romance of the tune, with only a final turn to a more sombre note. This CD ends with a light-hearted version of the classic I Left My Heart In San Francisco, played with elan. The melody is set off in different ways, in one verse with chordal shots to underscore it, in another with a great walking bass accompaniment. A fine ending to a most enjoyable CD! 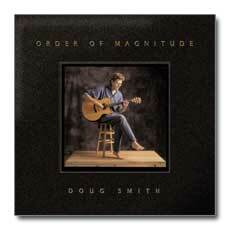 A dozen great songs, well arranged, flawlessly played. Who could ask for more?